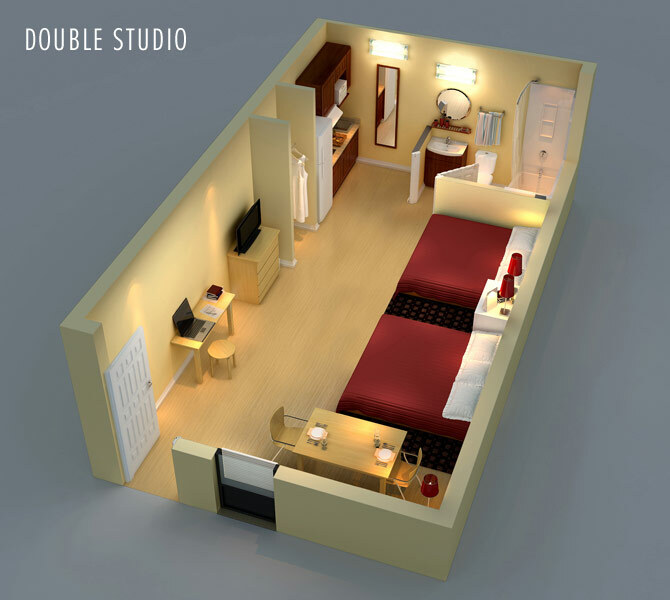 Staymore Extended Studios offers you Room TO LIVE. designed around today's independent lifestyles. Stay short term or long term, it's your choice. Relax in our Living Room lobby where you can play a game, read a book or just hang out with freinds, it's your choice. 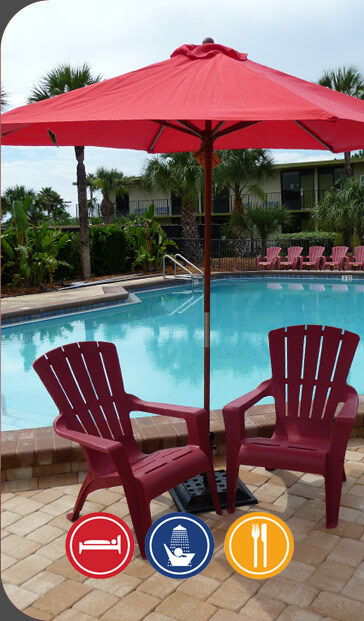 After a busy day relax at the pool, grill up dinner at the courtyard picnic area or prepare a quick meal in your studio. Our one of a kind european inspiresd TriZone Studios have a full size kitchen, area to work/dine/play, flat panel LCD TV, a divided bedroom area with a queen or 2 twin signature Staymore beds and a modern bathroom with a massaging shower. 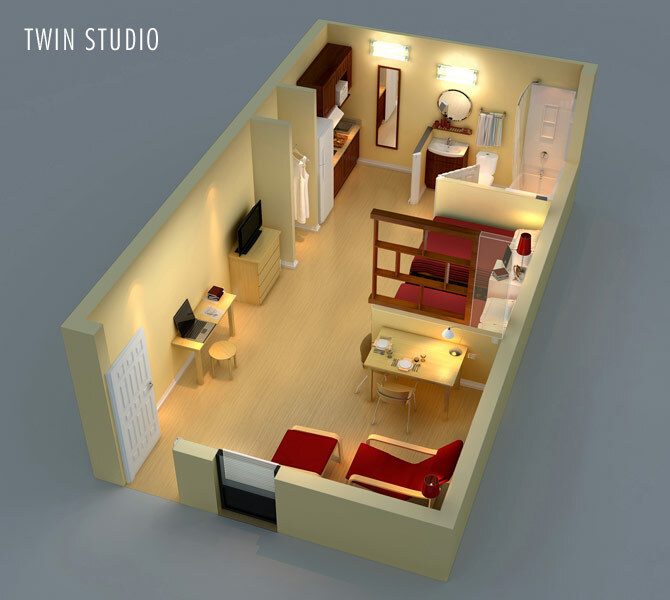 All studios feature separate work, sleep and living areas with all of the comforts of home including high-speed internet access, large work/dining table, flat screen TV with major local cable channels, signature beds for your sleeping pleasure. Our bathrooms feature deluxe pedestal sinks with a large mirror and a shelf for all your essentials. Our spacious showers feature water jet massage shower heads and fresh towels. All studios feature a complete kitchen with 2 burner stove top, super fast microwave, sink and refrigerator. Modern bathroom with a massaging shower.